Google released a cloud-based version of their Google Wallet app, which lets you use any credit or debit card by either Visa, MasterCard, American Express, or Discover. Google Wallet itself is still a very exclusive app that is available only on select devices, like the Galaxy Nexus smartphone and Nexus 7 tablet, the Galaxy S III, etc., and only in select countries. The new Google Wallet cloud-based app is more secure too, because it moves your sensitive personal info from the secured storage area of your phone to a secure Google server with only the wallet ID remaining on the phones’ secure storage to facilitate transactions at the point of sale. You can also lock and disable your Google Wallet account through your online account page should you lose your phone or have it stolen. 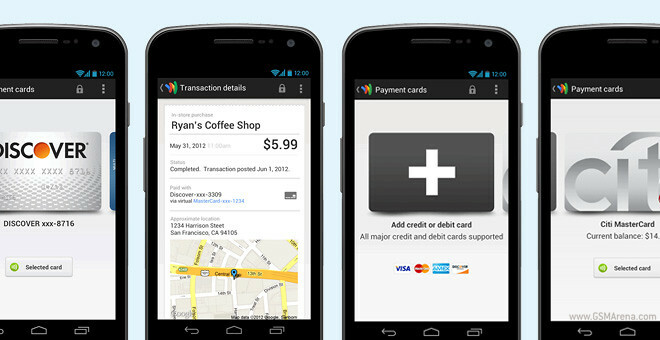 The new Google Wallet app is available for customers in the USA only. Here’s the link.